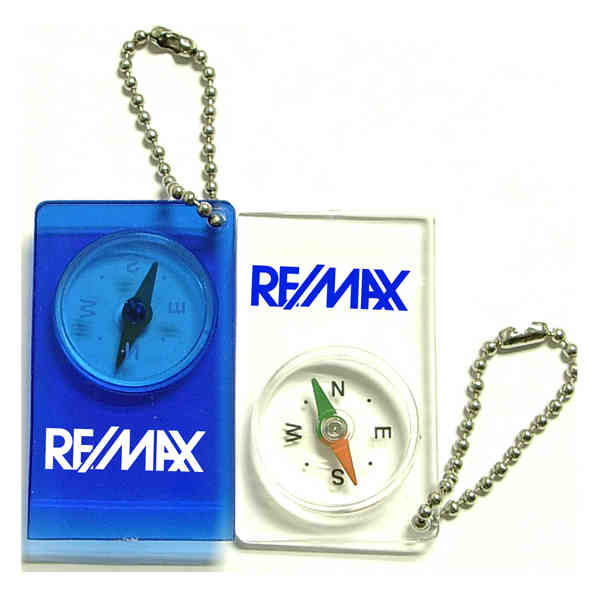 Compass keychain, oval shape with swivel chain. 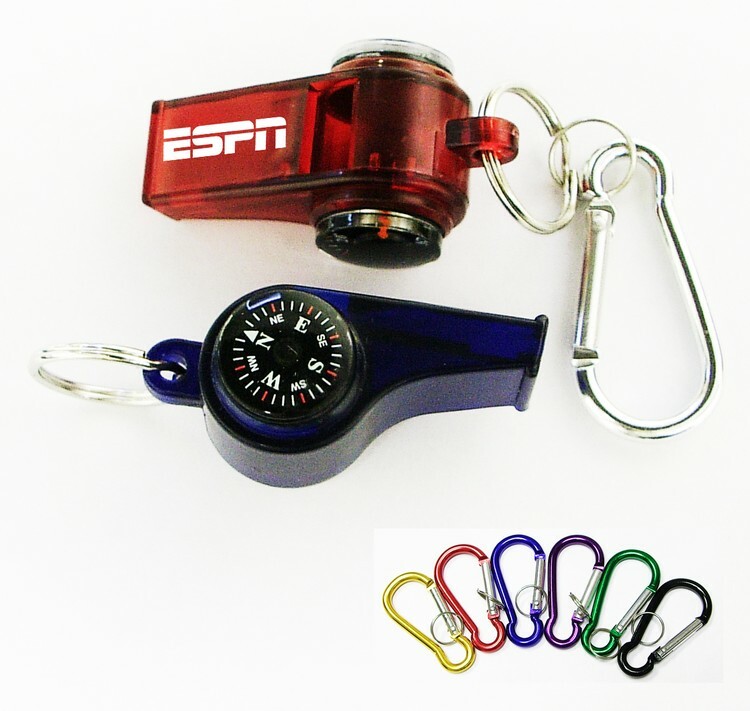 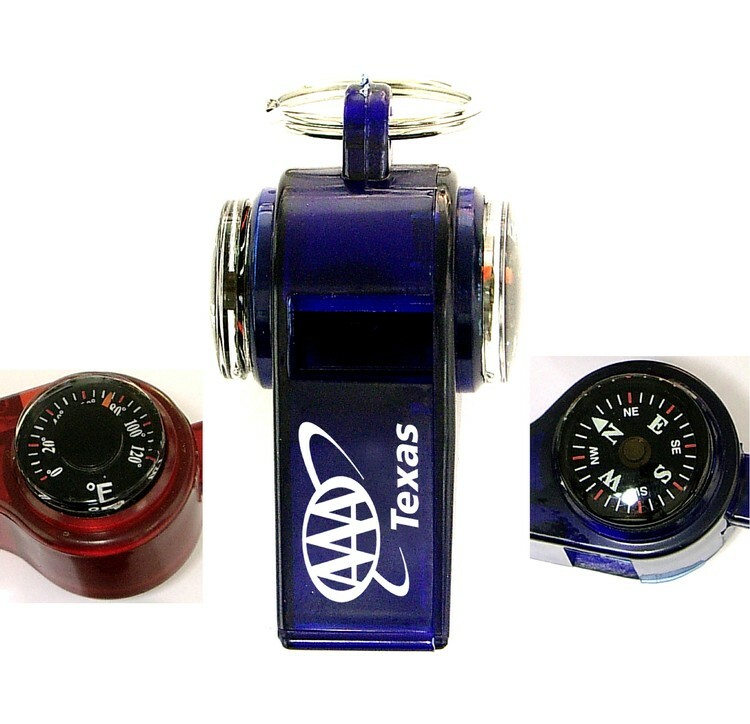 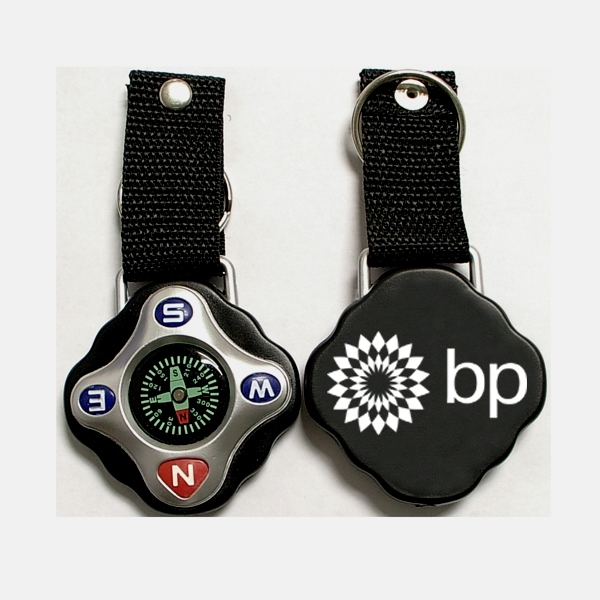 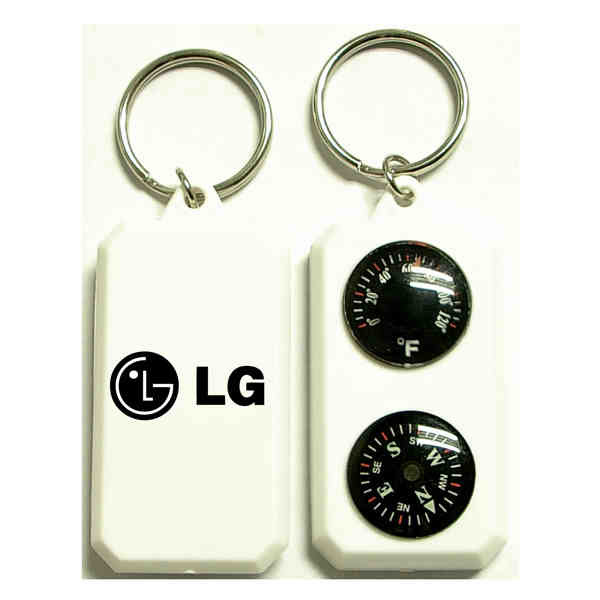 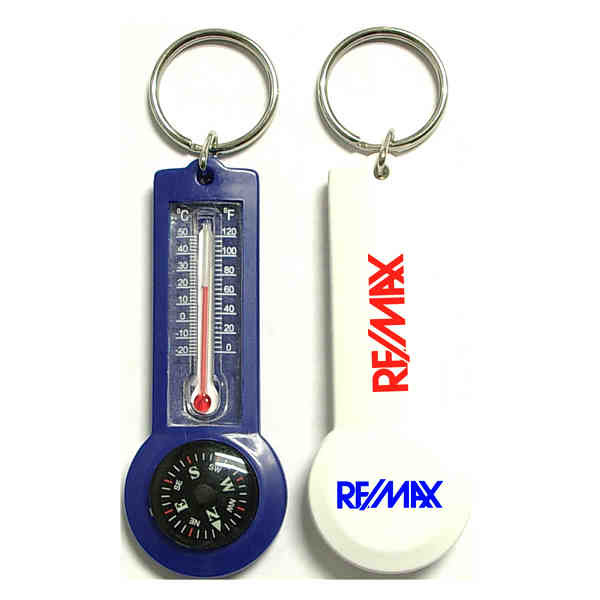 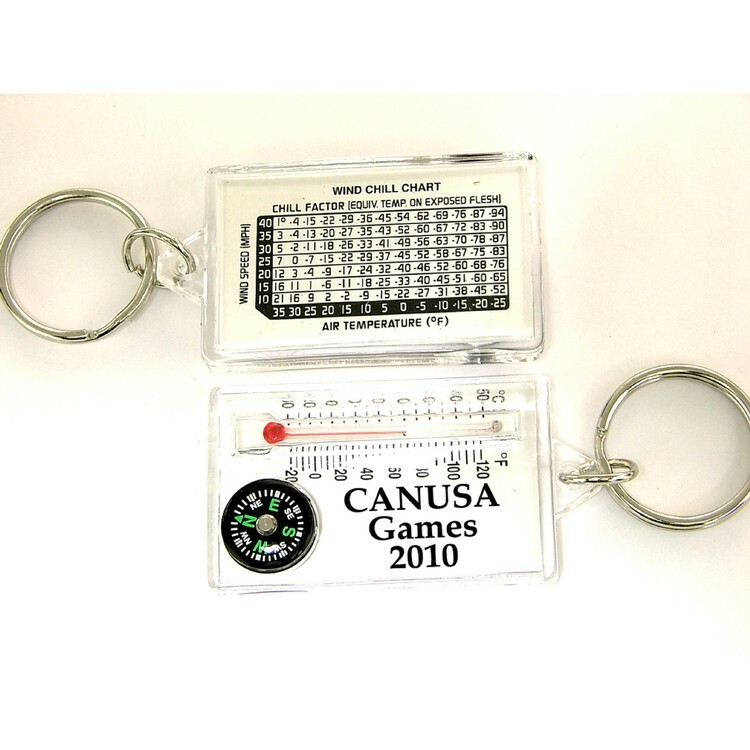 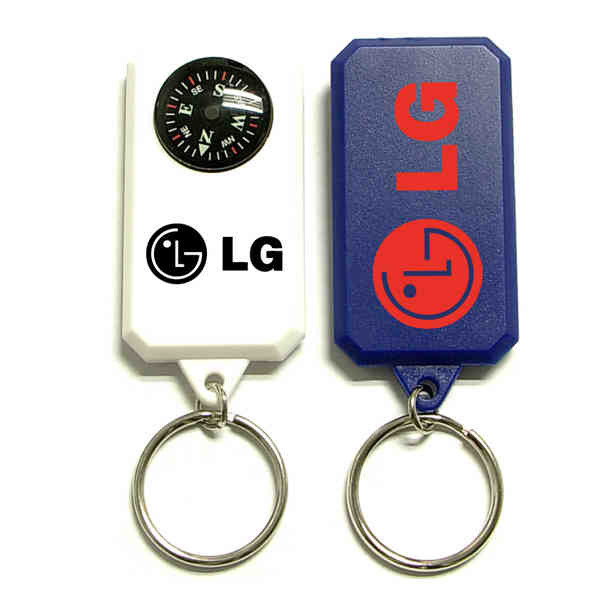 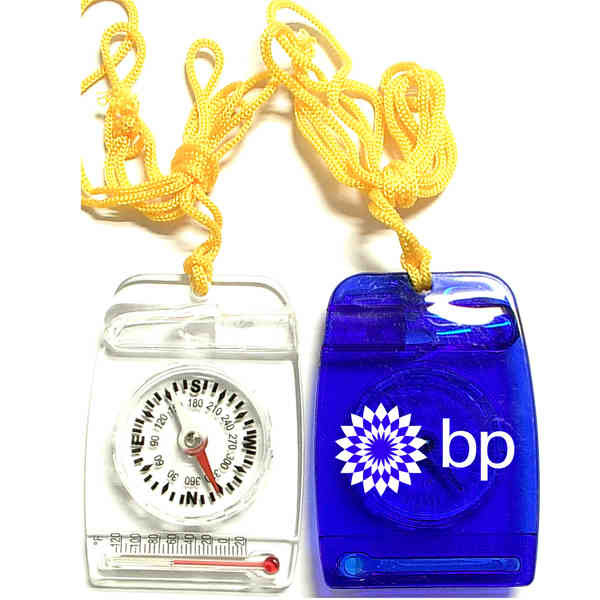 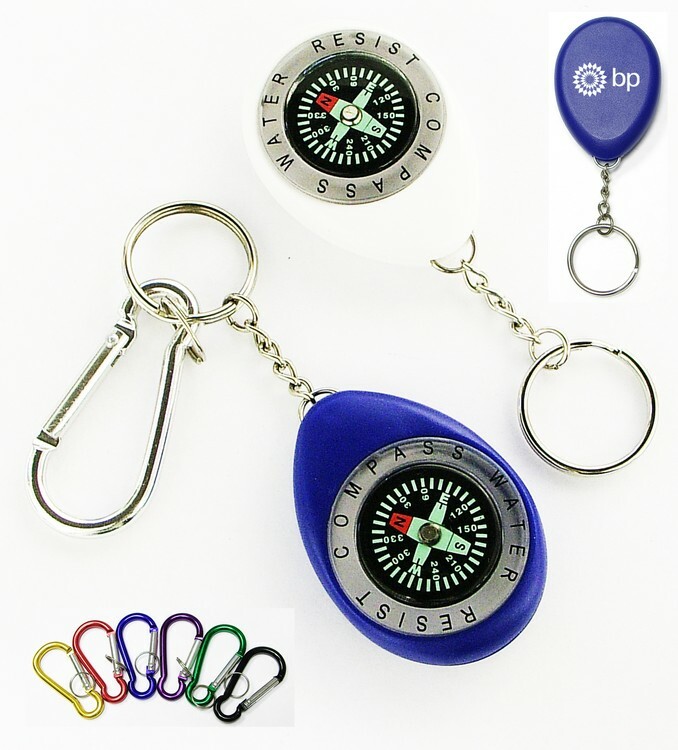 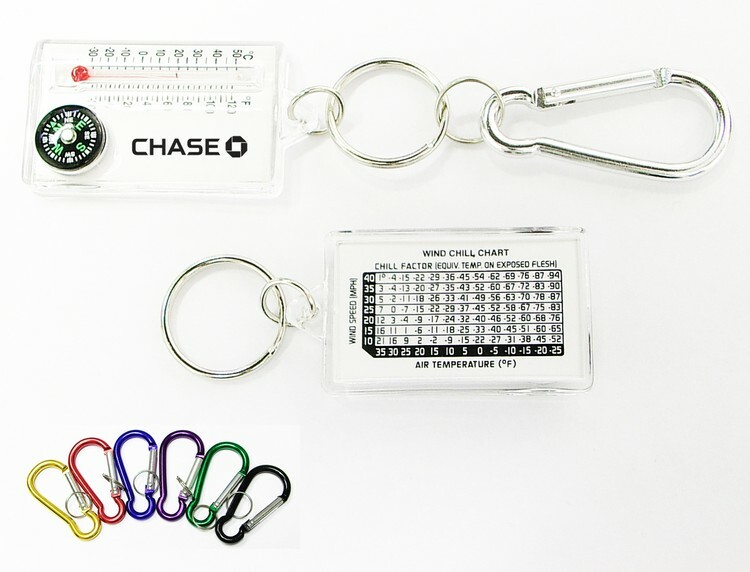 Durable compass and thermometer keychain. 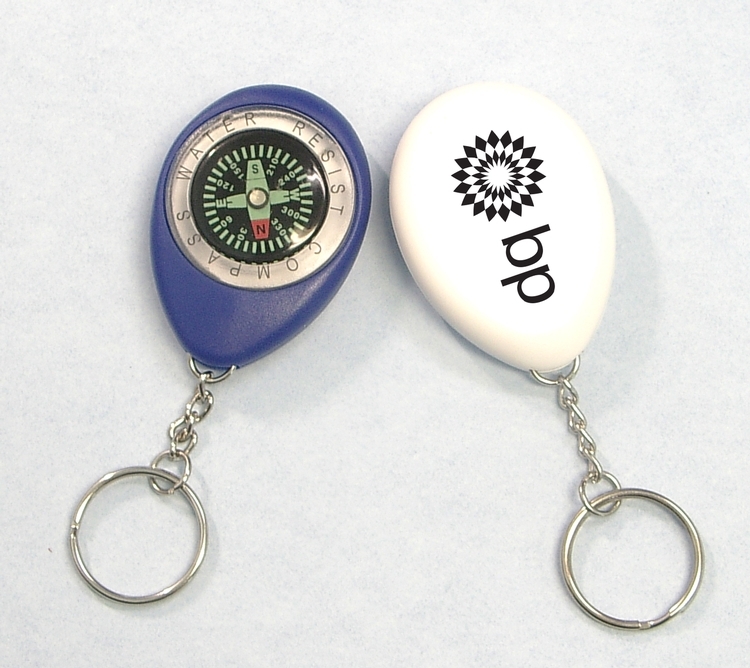 Whistle with compass thermometer and keychain.